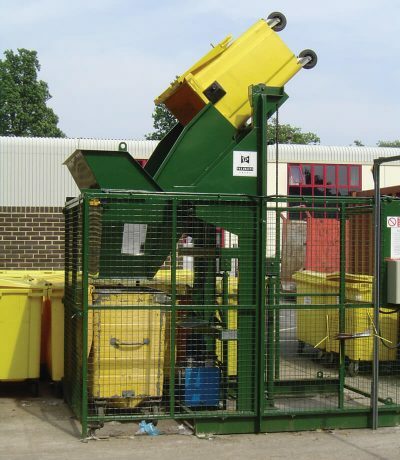 Primarily designed to lift and tip two or four-wheeled trade waste containers, although such units can be specifically designed for use with other containers. These units can vary from a simple hydraulic bin lifter intended to discharge contents into a below-ground conveyor hopper or to a unit which is designed to tip at a specific height to feed a larger container or hopper. If need be, Pakawaste can design bespoke solutions for individual requirements & needs of our own bin lifter. Contact our Sales Team on 01772 796688 for further information.